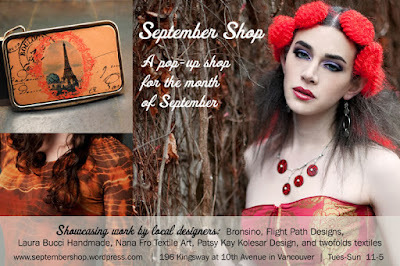 Patsy Kay Kolesar Design: September Shop - Popping up!!!!!! 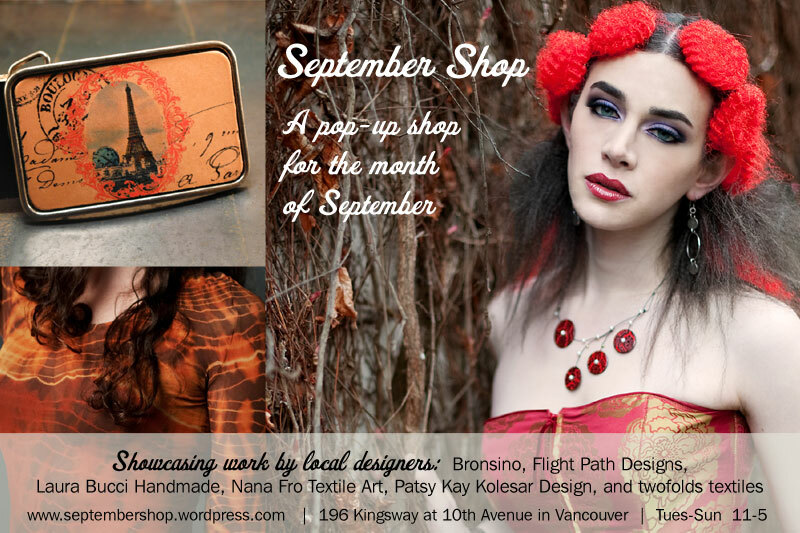 September Shop - Popping up!!!!!! A Pop-up Shop for the month of September! How exciting. When I tell people that I am part of September Shop, which is a 1 month pop-up shop, the typical reaction is...."what's a pop-up shop?" Essentially a pop-up shop is a short term retail venture. A business pops up and opens for a short period of time - draws in a crowd, creates some buzz, sells some stuff and then closes down leaving no trace of being there behind. There is something about the concept of a pop-up shop that reminds me of moving around when I was a kid. You take over a space, make it beautiful, make it your own, invite people into it and then you tear it down, move out and hope that you leave positive energy there for the next inhabitants. There is something warm and welcoming in the fluidity of it. It's only 1 month - You can take risks with it, try something new, and push your creative boundaries. 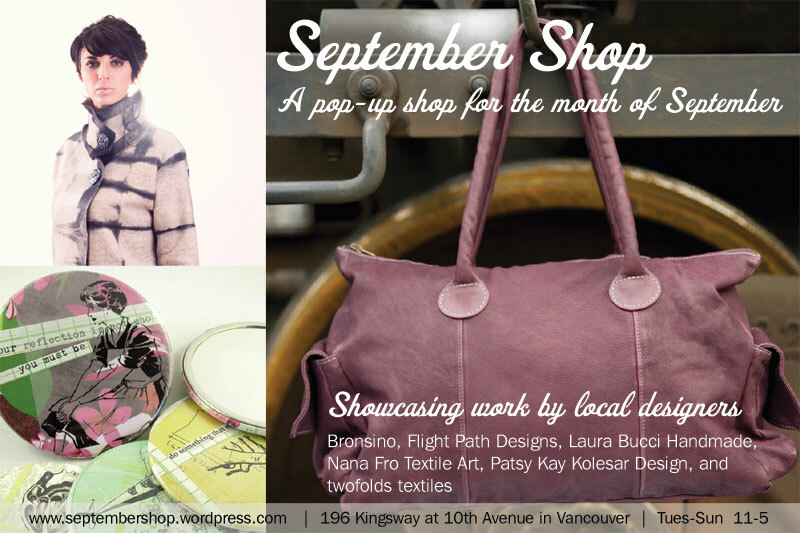 September Shop will feature 5 local designers - I am honored to be included in this very talented and smart group of women. Patsy Kay Kolesar Design, Laura Bucci Handmade, twofold textiles, Flightpath Designs,and Nana Fro Textile Art. One of the most exciting parts of this 1 month venture is that we are teaming up to do some one of a kind collaborative projects. There will be a silent auction for these pieces and you can come and bid on them throughout the month. The proceeds for them will be donated to a local charity. I will also be launching some new designs at September Shop!!!!!!! To stay in the know you will want to join our facebook page or you can visit our blog and sign up for our newsletter.